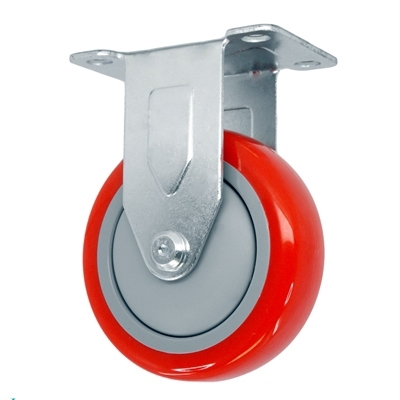 CasterHQ's 'LD' Series Rigid casters with 4 inch Red on Gray Polyurethane on Polyolefin core (PP) wheels feature a heat treated ball bearing raceway and a bright zinc plated finish. These casters are ideal for light and medium duty material handling, carts, equipment, and shop projects. 325 lb capacity per caster.